Wizkid over the weekend threw a massive birthday for Zion, his third son. 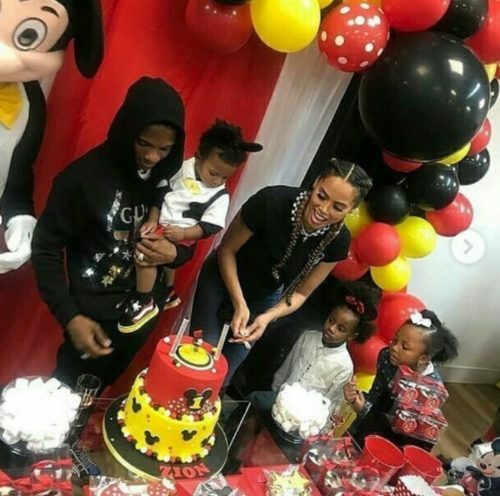 It’s was a moment of fun with friends and family as one of Wizkid’s son Zion celebrated his birthday. Zion turned one year old and was given a Mickey Mouse themed birthday by his parents. Wizkid and this third baby mama Jada O have been doing well as co-parents. The photos from the birthday hit the Internet as seen below.